Disrupting Conference Room Software? Really? Conference room booking is ripe for disruption, right? Room type reservations are on a first come, first served basis. The system automatically updates your reservation if your first choice comes available. When it’s meeting time, the meeting organizer “checks in” & is told which specific room they’ve been assigned. The system waits to assign rooms until right up to the meeting to optimize room type availability. All attendees on the meeting invite get a soft notification telling them the room to go to. BONUS: Swipe your badge at the closest conference room and the system automatically recognizes you and tells you where to go. If you check in late, you’ll get lower priority rooms. Encourages meetings starting on time! If you don’t check in, a specific room is never allocated to you, and thus is left open for someone else. BONUS: Motion detectors in the conference rooms detect when the meeting is over and the room is empty. 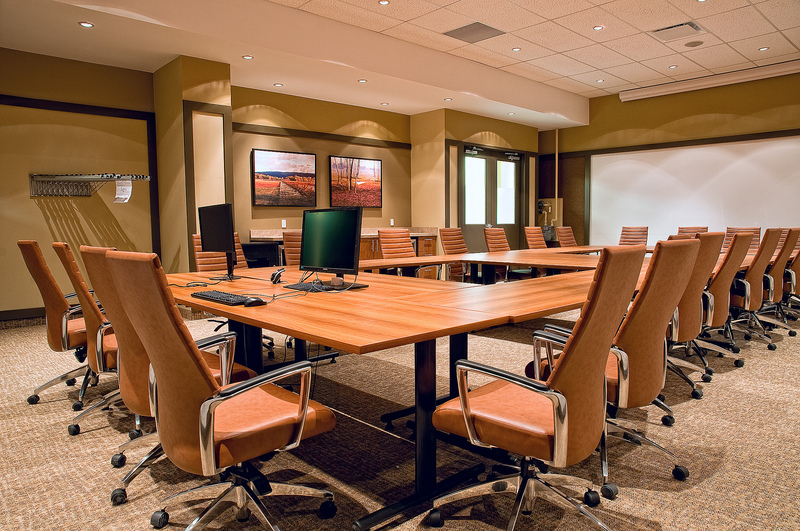 If a meeting ends early this opens a room up for availability that previously wouldn’t have been. OR, if a meeting runs over and someone needs that specific room, the meeting organizer is alerted and given an alternate place to go meet. What do you think? Think there’s a market out there willing to pay for this product? Or better, does it already exist?